ISLAMABAD: Chief Justice of Pakistan (CJP) Mian Saquib Nisar said on Monday that absconding police officer Rao Anwar “still” has a chance to surrender himself, adding that the cop will be safe if he appeared before the court but he will not get any protection anywhere else. The CJP also said that the facilitators of Rao Anwar will have to answer before the SC and that the court will make efforts to find out who has been facilitating Anwar in remaining underground. The Supreme Court (SC) resumed the hearing of the suo motu case of Naqeebullah Mehsud’s extra-judicial murder and the search for the wanted police officer Rao Anwar. Anwar is wanted in the murder case of Naqeebullah Mehsud, a 27-year-old native of Waziristan, who was among three others killed in an extra-judicial encounter on January 13, carried on Anwar’s orders. During the hearing, a three-member bench, led by CJP Mian Saqib Nisar, inquired from the State Bank of Pakistan (SBP) governor, if Rao Anwar’s accounts had been frozen. The SBP governor responded by saying that two of the suspended police officer’s bank accounts were frozen and that the absconded officer, despite still receiving money in his salary account, could not withdraw it. The CJP also inquired the Sindh IGP about who had issued a boarding pass to the absconded police officer when he tried to escape the country. The Sindh IGP responded that a private airline, Emirates, had issued Anwar a boarding pass. The CJP then summoned the relevant officials of the airline. At the last hearing on March 16, the CJP gave until March 19 to the Sindh police to arrest Rao Anwar. Appearing before the court, Sindh IGP AD Khowaja had sought time to trace Anwar, who has been absconding in the case. During court proceedings, the Sindh IG had informed the top court that footage of Anwar at Karachi and Islamabad airports was received by the Sindh police but required time to review it. Khowaja then requested time for investigation. When the CJP inquired on preferred deadline, the Sindh IG answered that there will be a progression in a day or two. At an earlier hearing that week, the Sindh police had submitted a report before the SC stating that they had written a letter to the directors general of the Federal Investigation Agency (FIA) as well as the Airport Security Force (ASF) that Anwar had tried to flee the country and the movement of the accused was captured by cameras installed at Benazir Bhutto International Airport in Islamabad. The Sindh Police had approached federal agencies to identify the ‘facilitators’ of Rao Anwar. 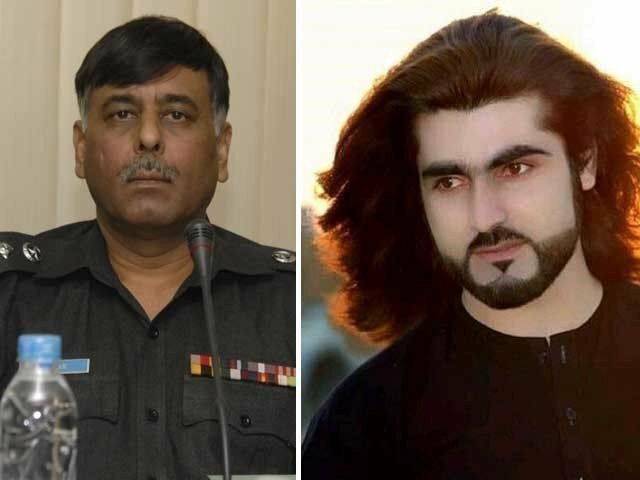 Naqeebullah Mehsud, a 27-year-old native of Waziristan, was among three others who were accused of terrorism and killed on January 13 on the orders of then Malir SSP Rao Anwar, in what was later determined to be a fake encounter. The SC had in January issued a three-day deadline for Anwar’s arrest while another was given by an anti-terrorism court last month. However, the authorities have failed to do so — despite support from intelligence agencies — amid rumours that the absconding officer had flown abroad.